Now I’d better get something sorted straight away. I do not look to the Leicester Mercury and its reviews for advice on where to eat. The fact that I was eating in The Oat Hill at the weekend had everything to do with my friend Deborah living in Market Harborough and nothing to do with the fact the Mercury sent Joan Stephens to review it last week. OK? Good. 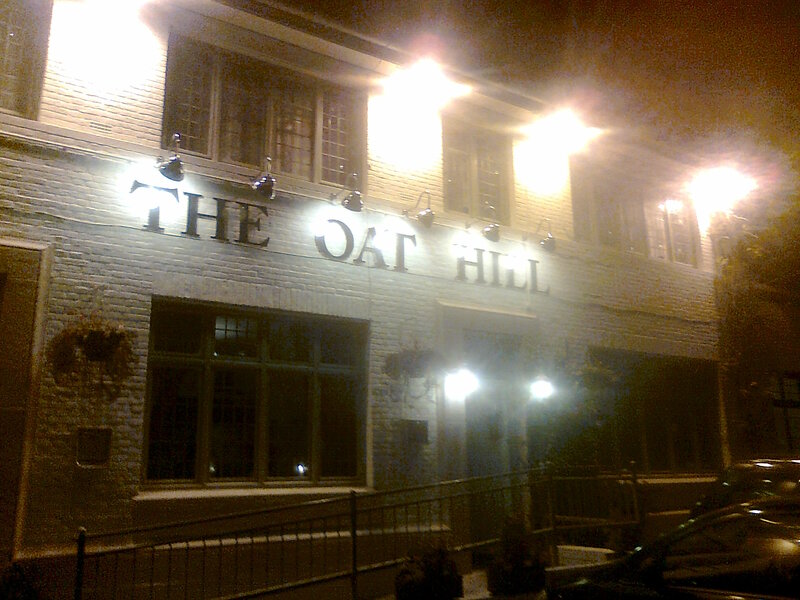 A short way out of town on the Kettering Road, the Oat Hill is in the shadow of the local branches of both Aldi and Lidl. If that puts you off, it shouldn’t because this is a really rather good dining pub. There’s a smart and comfortable bar – big comfy sofas, heavy red velvet curtains, young staff all in black and so on. The restaurant is equally appealing and the menu is well designed and seemed to be well-priced. We passed on starters because it was really just a quick supper but given the quality of our mains I wished I’d gone for something such as roasted breast of pheasant with roasted honey soused root veg or baked figs with melting gorngonzola and rocket salad. My main was slow braised shin of beef – a flavoursome cut I’ve eulogised on this blog before and done very nicely here, presented beautifully on excellent creamed mash with two contrasting sauces making the plate look a ying and yang symbol, a dark port jus and a creamy, mustardy sauce. The cheffy parsnip crisps were just right and a bowl of veg were perfect. Deborah’s sea bream with crayfish and tomato bisque was also very good indeed – two large fillets with crispy skin and real depth of flavour and a well-made sauce. These were well-conceived and well-executed dishes. We shared a desert that was well up to standard, a creme brulee with beautifully pared slices of ripe pear and excellent homemade shortbread. It’s always nice to find a place that exceeds expectations and The Oat Hill did for us – Deb immediately booked to go back with a friend next week. There is a proper chef in the kitchen and while it may not have the picturesque setting of some gastropubs out in the South of the county, I think this place should definitely be on your radar when in the area. Oh and Joan liked it too. 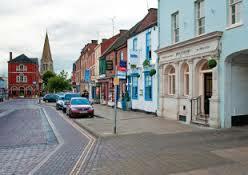 Market Harborough is a spruce, well-heeled little town where you might expect to find nice restaurants. Some of the better ones are actually off in the comfortable surrounding villages of South and East Leicestershire. But I’m pleased to report on a pleasant meal last night in this unpretentious Spanish resturant situated in a side road off the main drag (Abbey Street). Despite the name, there’s not too much ibero-tat, but a clean. modern feel. That made it a little on the cold side atmosphere-wise as we arrived but it soon filled with good-humoured small Christmas party groups which helped warm things up. The menu is fairly standard for its type with the odd Mexican dish thrown in. We, being well up for a bit of a feast. 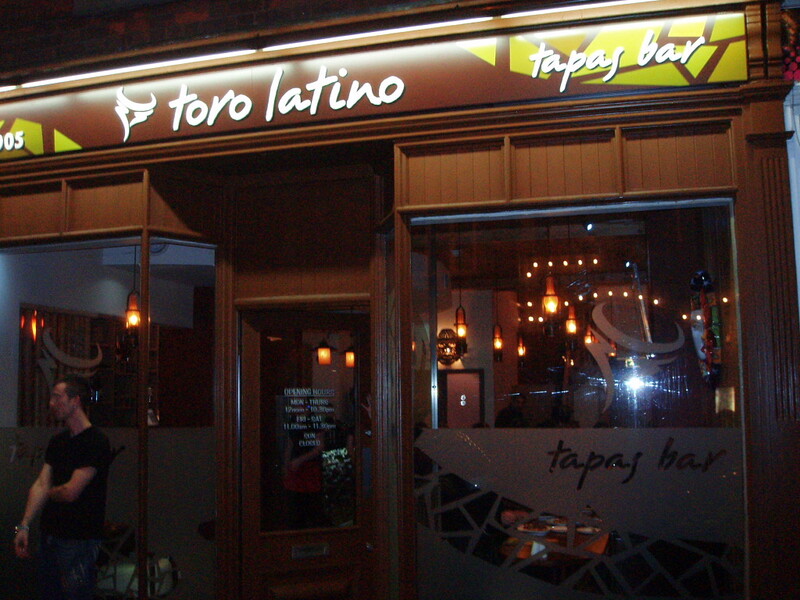 selected three tapas to share as starters followed by main course dishes. Sardines were excellent – plenty of garlic and olive oil with some finely diced capers to give a bit of bite, and a little stew of lamb and potatoes was full-flavoured comfort food, while enchiladas too were tasty, generously cheesy. Deborah’s chicken and seafood paella was stuffed with mussels, butterflied prawns, squid and poultry. Subtle it wasn’t, but again generous is the word that comes to mind, in quantity and flavours. I picked fish piri piri – some firm, flavoursome fillets in a really kicking chill dressing with plenty of chunky veg. All our food shared this earthy, full on approach to flavour. Had just the briefest look at the wine list which was short and sensibly seemed to major on fruity upfront South American wines – the sort of undemanding stuff that gives wine critics palpitations but is proabably right for the food here. Service was a bit hit and miss in truth, pleasant young people who didn’t really manage to convey the sense they had quite mastered customer service and we struggled at times to get across what we wanted. None the less, a nice little neighbourhood joint offering decent value, and I’d be happy to go back.